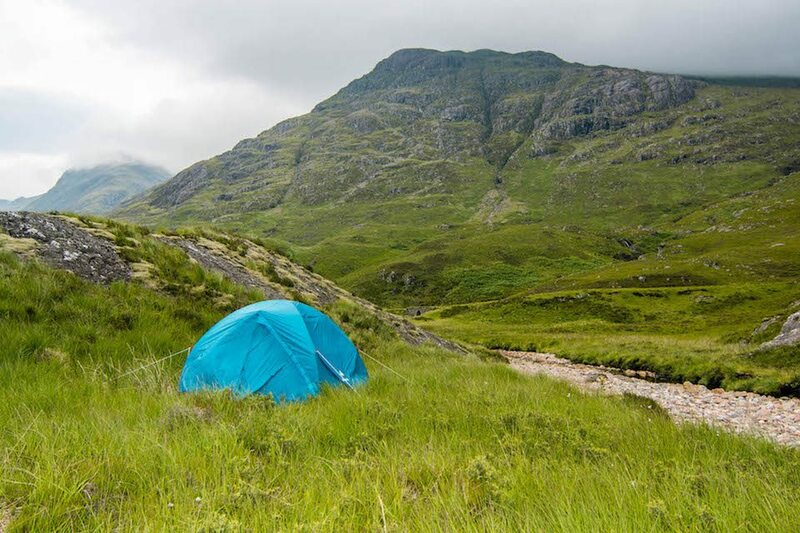 Are you planning on going to Scotland for an epic camping session? Or are you planning on road tripping? Perhaps you’re planning on doing both! After our 9 day road trip and camping experience in Scotland we know exactly what travel essentials are useful for your visit. In this article we help you with packing for your trip to this beautiful country. 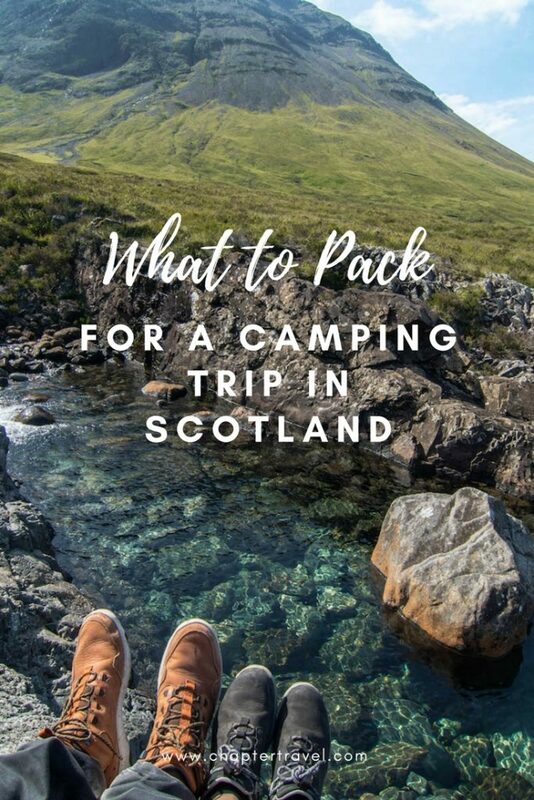 Read on if you’re not sure what to pack for a camping trip in Scotland, or if you just need some inspiration! 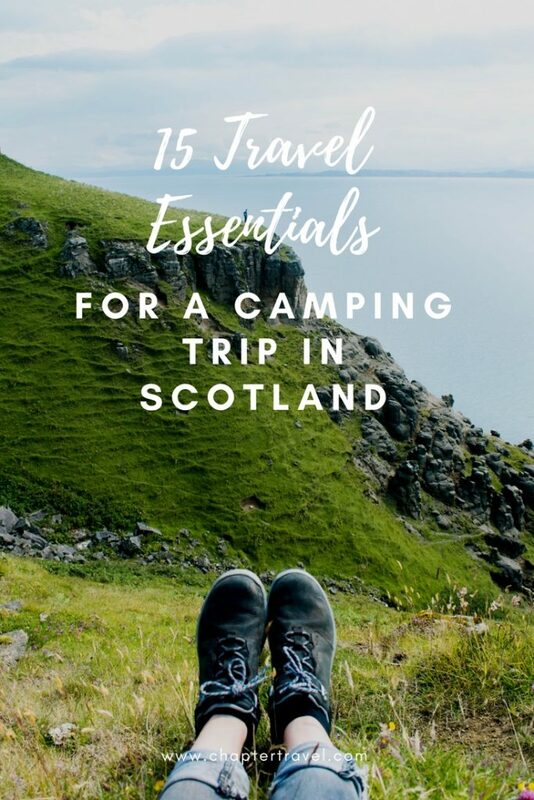 Because in this article we share 15 travel essentials for a camping trip in Scotland. While we were there, it was mostly sunny and it only rained for two nights. But, even during the Summer season it can rain a lot. Scotland has very unpredictable weather, which means you need to be prepared for any type of weather conditions. Have you already read our Travel Itinerary for a 9 Day Road Trip in Scotland? It doesn’t really matter in which time of the year you’re going to Scotland, it’s really recommended to take a raincoat with you. It’s really useful to be prepared, even with just a simple raincoat like the poncho pictured above. If you’re planning on doing any day hikes, or perhaps you’re hiking most of the trip, we recommend to get decent hiking boots. It’s essential to break them in before you go on your trip, so they are all comfy when you actually start your hiking. You don’t want to get any blisters of course. I recommend to buy your hiking boots in a physical outdoor store, because that way you can get some advice and you get to try them out. If you don’t have time to go shopping, make sure to order the boots well in advance so you can still send them back if they don’t fit. If you’re trekking through Scotland, you of course need a decent backpack to carry all your gear. If you’re planning on road tripping like us, a good day pack will suffice. Of course you’ll need a decent sleeping bag! For instance, a four seasons sleeping bag, very useful for the unpredictable weather in Scotland. It’s really important to buy a good one, because we both had some cold nights in Scotland and our sleeping bag apparently wasn’t warm enough. At least, when we weren’t wearing long pyjama pants. It’s funny; I often share lessons I’ve learned from mistakes Jeffrey and I have made on this blog. For instance, we seriously forgot to take pillows or any alternatives with us. Yes, really. We only realised it once we wanted to sleep. So this is a product we can’t recommend enough, because we really missed it during our trip in Scotland. Sleeping on some clothes just isn’t the same and an inflatable pillow doesn’t take up that much space anyway. If you’re planning on making your own meals, it’s necessary to take a cooking stove with you. Also useful if you need to make yourself a cup of tea when it’s cold outside. Another essential when you’re planning on making you’re own meals are pots and pans. For camping it’s good to get a set that you can easily carry with you.
. A spoon and fork in one, brilliant. It’s not fun to wash your dishes, especially not when you’re camping. It’s just a bit more work, especially if you’re wild camping. But often it’s really necessary. So don’t forget to take a dish brush and scrub sponge with you. And to minimise the impact on the environment, don’t take regular dish wash detergent with you, but biodegradable soap. You still need to keep the soap away from natural water sources and only use it when it’s really necessary. Often hot water and a good scrub will be sufficient. A headlamp is super useful when it gets dark out and you still need some light. Of course it might happen you need to pee in the middle of the night! It can also be useful if you’re hiking early in the morning or late at night. , so you can still read or play cards. If you are anything like us, you have a ton of devices that need charging. Honestly, this isn’t always possible when you’re camping. But with a battery pack it does get easier. We often charge our phones in restaurants, but a battery pack is ideal if you’re not visiting any locations with a way to charge your gadgets. Of course, eventually your battery pack will die too, so make sure to get a decent one with a long battery life. While we were camping on the Isle of Skye, Jeffrey woke up with two ticks on his ankle. This is not a very pleasant experience of course. We had to rush to the Boots to buy a tick removal kit. We definitely recommend buying one beforehand, because you just never now. It can happen during camping, but also if you’re hiking in nature. With a tick removal kit you are at least prepared. 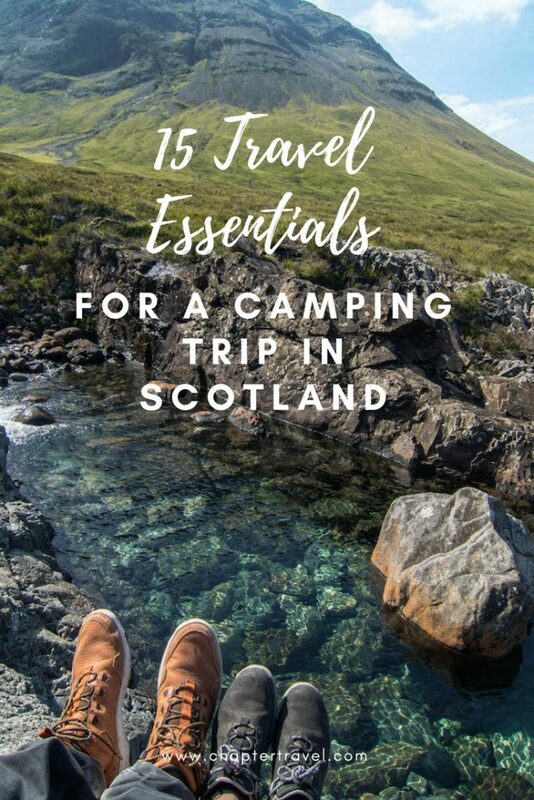 With these 15 travel essentials for a camping trip in Scotland you’ll be ready for an epic adventure. If you have any travel essentials to add to this list, be sure to let us know! And of course we hope you have an amazing time in Scotland. Are you not only going to Scotland and actually planning on doing a longer trip? Be sure to read our 15 Travel Essentials for Long Term Travellers to get some inspiration. My husband and I are dying to go there! Keeping this for the future! Such a useful post. I don’t camp but i know a lot of people who do. I’ll share this with them AND should I ever decide to go camping myself, I’ll refer to this list. Pinned too.